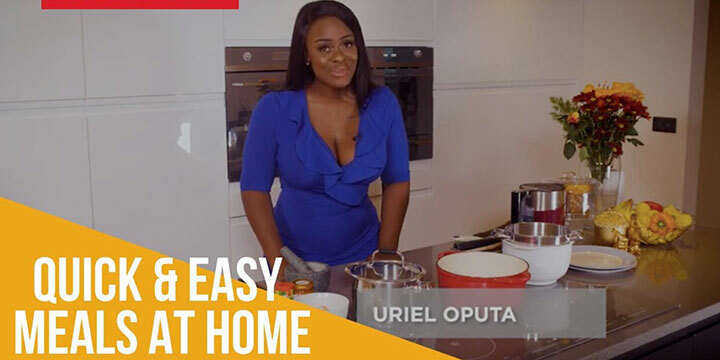 Former Big Brother Naija housemate Uriel Oputa will feature in a new TV cooking show created by Glam Africa Magazine. Glam Africa Kitchen launched recently in London, attended by celebrities and influencers. The aim of the show is to educate busy millennials on easy but hearty recipes taught by celebrity foodies and chefs and it will air on Afro-Caribbean family entertainment channel ABN TV (Sky Channel 456) in the UK. Oputa will feature in the first episodes of the show preparing delicious but quick meals. Glam Africa is a quarterly print magazine distributed in the UK, Ghana, South Africa and Nigeria. Glam Africa Kitchen is among Glam Africa’s slate of shortform shows airing on ABN TV.